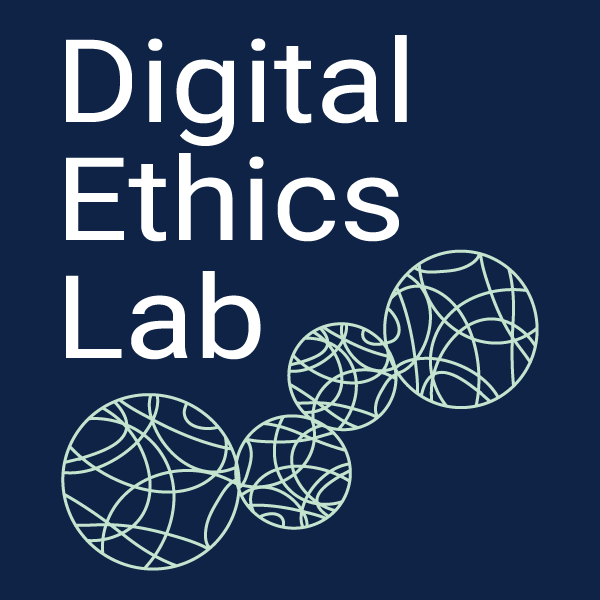 At the Digital Ethics Lab we tackle the ethical challenges posed by digital innovation. We help design a better information society: open, pluralistic, tolerant, equitable, and just. Led by Luciano Floridi, the OII’s Professor of Philosophy and Ethics of Information, The DELab aims to identify the benefits and enhance the positive opportunities of digital innovation as a force for good and avoid or mitigate its risks and shortcomings. We seek to interact with interested parties and stakeholders from all sectors and internationally. Our goal is to identify the ethical opportunities, challenges, and risks presented by the digital world, and to provide independent research, advice, solutions, and strategic options to deal with them successfully. We are proud of the strong relationships we have built with our existing funders and are delighted to acknowledge publicly their generous support. We always seek to engage our sponsors in the Digital Ethics Lab activities and would be excited to discuss such opportunities with any parties interested in developing new lines of research and supporting our work. Our visitor programme welcomes scholars, scientists, industry leaders, practitioners, civil society advocates, and policy makers of distinction or outstanding promise, who wish to pursue study and research concerning the ethical impact of digital technologies and related phenomena. Visiting Fellowships may be awarded to suitably qualified applicants to undertake study or research at the OII-DELab for a period of between three and twelve months. Academic Visitor Status may be awarded to suitably qualified applicants to undertake study or research at the OII-DELab for a period between one month and three months. Research Associations may be awarded to suitably qualified applicants to undertake study or research at the OII-DELab for the whole period of an approved research project. Closing dates: there are no closing dates but it is usual to apply preferably 12 and at least 6 months before the beginning of the period of appointment. If you are in doubt about the suitability of the financial support available for your application please feel free to contact us at the above address. At the Digital Ethics Lab we tackle the ethical challenges posed by digital innovation. We help design a better information society: open, pluralistic, tolerant, equitable, and just. Our goal is to identify the benefits and enhance the positive opportunities of digital innovation as a force for good, and avoid or mitigate its risks and shortcomings. Our work builds on Oxford’s world leading expertise in conceptual design, horizon scanning, foresight analysis, and translational research on ethics, governance, and policy making.